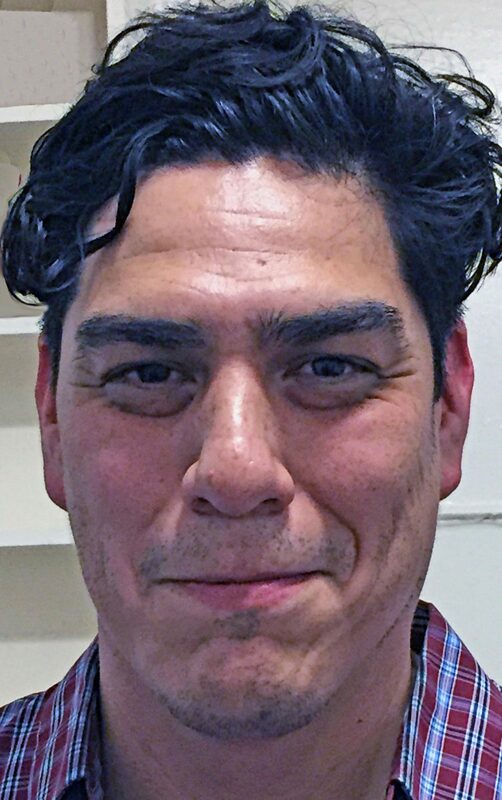 San Antonio artist David Alcantar believes that art is at its best when it addresses what is common and inclusive in human experience, rather than the particular and exclusive. He wants his art to have a universal resonance, and his current exhibition at South Texas College’s VAM Gallery easily achieves that goal. “David Alcantar: Diss this (Dis) Agreement” is about negotiation. This show consists of paintings, sculpture and graphs that focus on the decision-making and negotiation processes. Alcantar envisions the human thought process as it functions in decisions that rely on negotiations within our own psyche and overt negotiations with others. 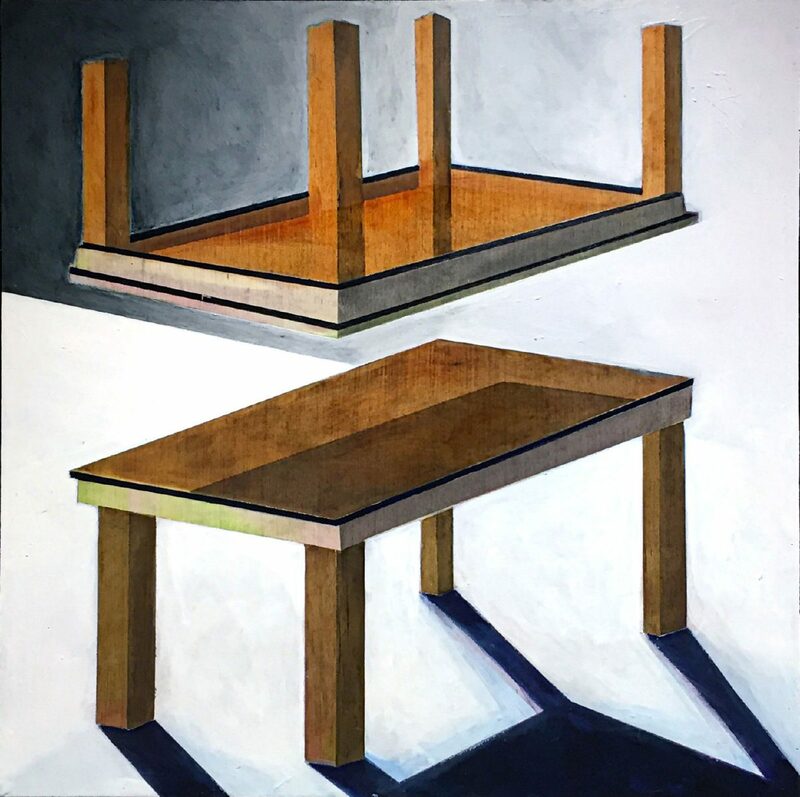 Tables and chairs become metaphors for the human condition in his works. A large installation featuring a chair manning each side of a cut-in-half-table commands the center of the gallery. A two-way arrow on one side of the table and worded sections on the other provide clues into this negotiating process. 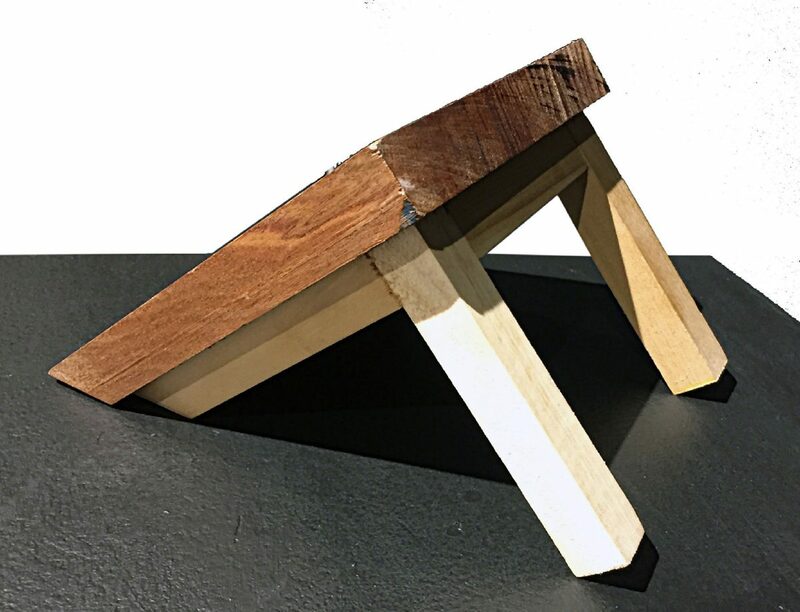 Negotiations often happen between two people, and the kinds of chairs, even the kind of table, determines the power structure or the context of the negotiation that’s going on. 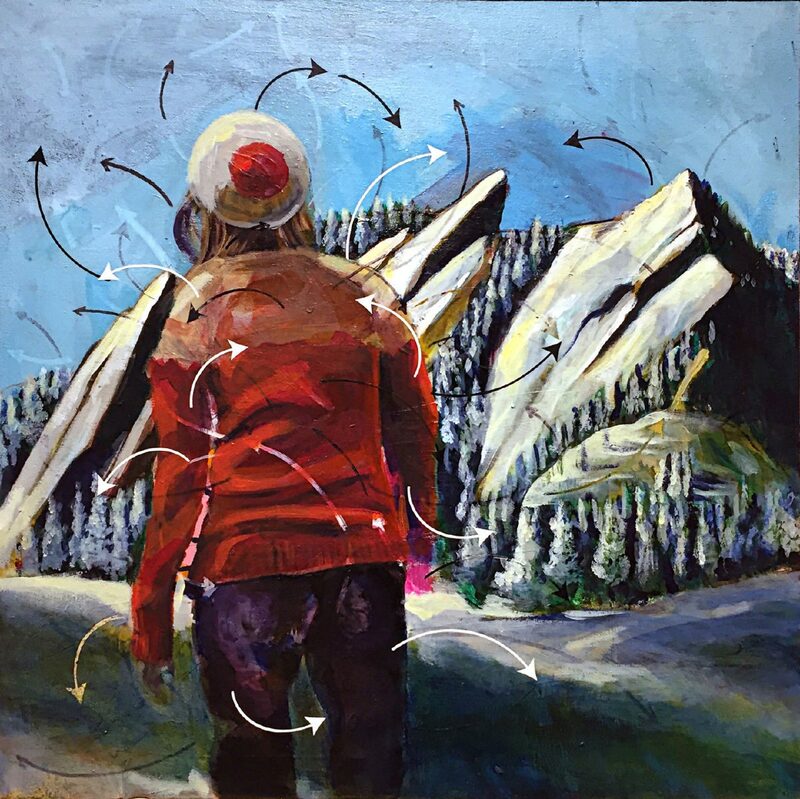 “No One Goes Unscathed” suggests the mental turmoil caused us by a variety of daily and life decisions; the discrete notations, identified by arrows leading away from the intense melee, help to bring the bio-electrical dimension onto the physical surface. Selected causes combine the whimsical flavor of instructions translated by a foreign vendor with 19th century nature study IDs. 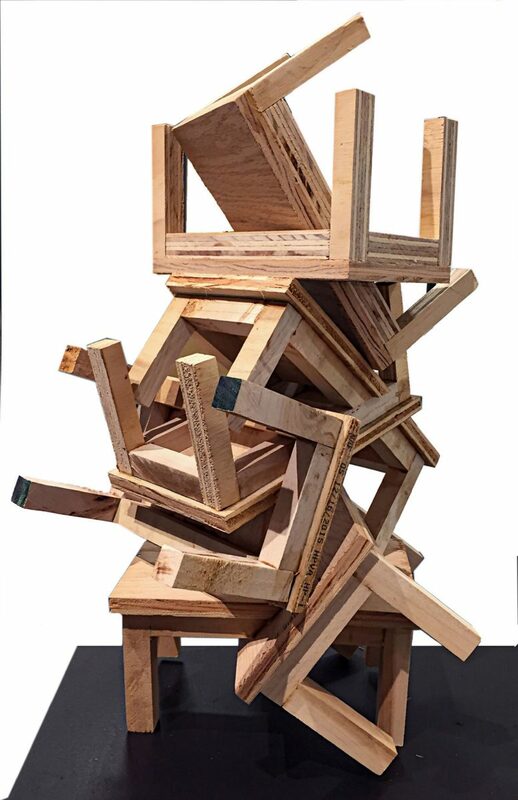 The sculpture, “Everyday Dealings Occurring Simultaneously Everyday,” manifests the mental phenomena further into the physical dimension with a brilliant cluster of small intersecting table-forms, its solidity suggesting a possible impasse. Diagrammatical arrows in works symbolize the direction of the negotiation and the direction of the information exchange. In the chair paintings they show the energetic engagements of the participants. 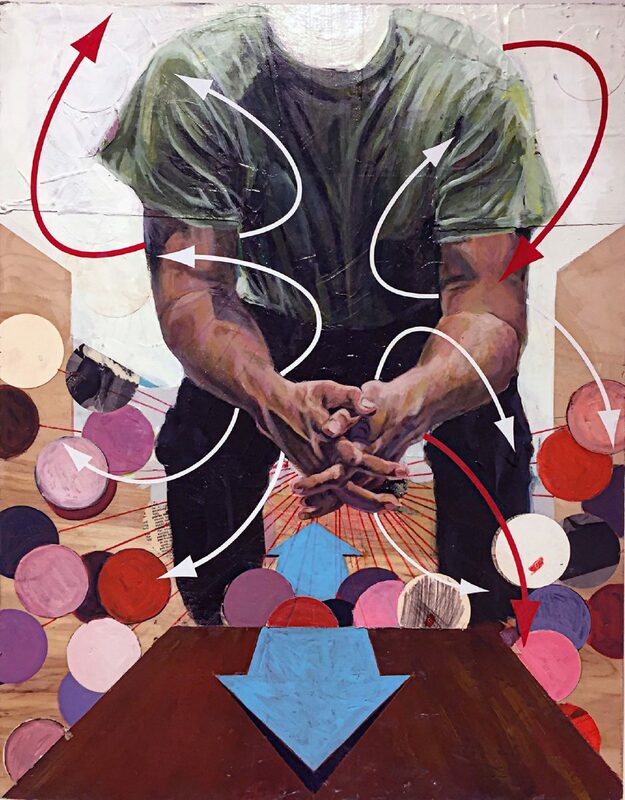 One of the few figure paintings, “Invisible Current,” visualizes the internal action of negotiating probabilities within one’s self, exposing the aura of possibilities. 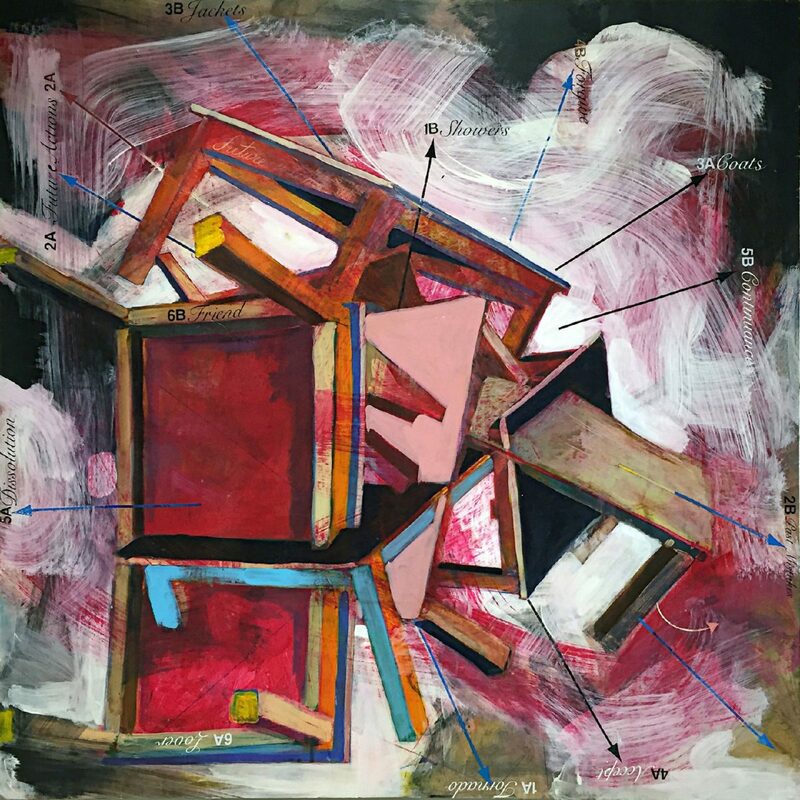 Alcantar is a rare artist who is able to think with expressive precision and impact in more than one art form. His paintings and sculptures exude a personal and convincing power, and even his giclée prints (charts) embody an authoritative message. Nancy Moyer, professor emerita at the University of Texas Rio Grande Valley, is an art critic for The Monitor. She may be reached at nmoyer@rg.rr.com.